Rip-roaring, gungho and high adventure are all phrases which could be used to describe Chris Woodingâ€™s Ketty Jay novels, but none of them go far enough as to explain just how much bloody fun they are to read. Third novels in a series can often be a bit tricky, given that by now the main characters and their respective back-stories have been well established, leaving your average reader in need of something bigger and better in terms of spectacle and plot. 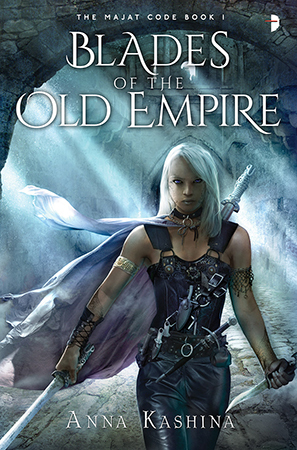 Happily, Wooding has done just that with his latest offering, throwing Captain Darian Freyâ€™s motley crew into their biggest adventure yet â€“ facing off against ancient curses, Century Knights, unstoppable biomechanical killing machines and half the Samarlan army as they search for a way to save their narcissistic leader from a fate worse than death. 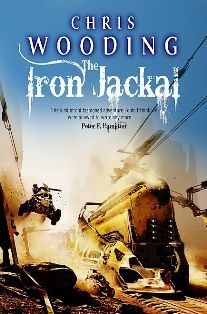 Though there is an occasional sense of familiarity to proceedings (comparisonâ€™s with Whedonâ€™s Firefly are inevitable, and the early fighter craft gauntlet through desert canyons carries echoes of Tatooine pod-races), the real draw of the book is once again the depth of characterization and lashings of witty dialogue woven into the text. Woodingâ€™s attention to detail allows every character to breathe, bringing greater weight to the numerous action set-pieces. Fresh blood appears courtesy of Ashua, a toughened teenage street urchin who sparks off proceedings via a bar fight with the crew, and throughout the book I found myself reading with a big grin on my face before collapsing in giggles at regular intervals. All this and â€˜hot-buttered catâ€™ too! Go on, treat yourself. You wonâ€™t be disappointed, I promise.